Yesterday a group I am part of, The Say What Club, had the topic of going to the movies. What seems like such a fun past time to many can seem like a waste of money to some, me included. Why, simply because why would I want to pay upwards of $10 to sit and watch a movie miss half or more of the dialog and sit and think why did I go to the movies. Which in turn makes it more than a year since I have done just that. What we were talking about with the Say What Club was closed captioning at the movies. I think this would be wonderful. I love watching movies but it is done at home either Netflix or a rented movie and the captions are always on. I enjoy having the sound streamed to my hearing aids but I still need the captions to get what I miss. I need to fill in the blanks. My family is used to the words on the bottom of the screen. My son is behind in the reading game so maybe the captions will help some or he isn’t as behind as he could be. The next obstacle is where to go for captions. I am in a small rural town but very lucky we have a theater in town. It is a one screen but upgraded to digital theatre. Our theater does have assistive listening devices but I tried once and it didn’t do anything different then my hearing aids in fact it wasn’t as much gain as I am used to. Great for someone with less of a hearing loss but I need the captions. Our next theater is 30 miles away and I contacted them and the person I talked to wasn’t sure they had them. Well that isn’t encouraging. 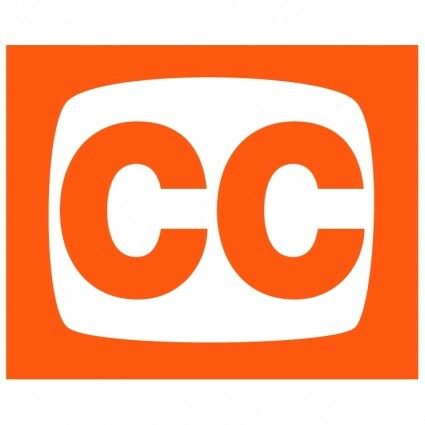 I have heard there is captioning at one theater that is 1.5 hours away. Is that really accommodating the deaf and hard of hearing population that I need to drive 1.5 hours away to watch a movie. Just doesn’t seem fair. Maybe a price to pay of living in a rural area, or maybe an oversight that this needs to be offered. After all this discussing on the topic of movies yesterday I went to a movie last night. It has been a long time since I have been to our local theater. My daughter wanted me to go with her to the new Hunger Games movie, Mockingjay Part 1. We went on our mom and daughter date and it was fun. I thought an action movie I don’t need to hear the words it will be nonstop action like the other two movies in the series. Not quite right with this movie. Lots of dialog and I missed over half of it I am sure. I didn’t fully enjoy the movie aspect of the night but I loved accompanying my beautiful daughter to a film she had been looking forward to seeing. It was fun watching her be tense and jump at certain parts and just soak in the movie. There will be a day in the not too distant future that she won’t want to do this with mom so I will grab the chance now. I look forward to the day we can rent the movie and we can watch it at home. She will love to watch it again and I will love to watch it and “hear” the words. This has been the week of movie talk. With the Say What Club, with my daughter and with a huge understanding between the HLAA (Hearing Loss Association of America), Alexander Graham Bell, and Theater Owners of America that captions will be offered in all digital theaters starting in 2015. I was so excited when I read this, how exciting. Article from the LA Times. I wonder if this will take place in my neck of my woods. I wonder how long it will take. I wonder if there will be heels dug in and protest. I just wonder…. This past month I have felt like this a lot. I have felt like I am drowning. Yes I try to be the optimist, the glass is half full type of girl. I just can’t keep that up all the time. I can’t keep the smile on my face that everything is fine and everything is great. I am the glue that tries to keep it all together in my family but lately I am having a hard time doing this. I finally confided in my husband and told him that I am really having a hard time keeping it all together lately. 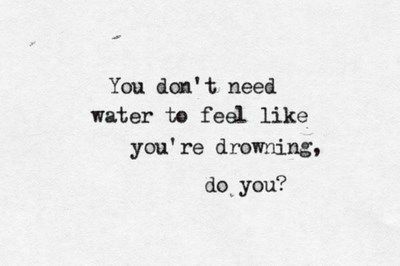 I feel like I am drowning and I am sick of keeping the smile on my face when I miss half a conversation and have no idea what someone said to me when they walk up to me at school or church. I am sick of working so hard to understand all that is being said. I am just sick and tired of life being hard. Everyone has troubles in their lives and I try not to ever be a person that says well my troubles are worse than your troubles. I hate when someone says, “At least it is not cancer.” Yes I am glad of that also but guess what hearing loss, a son on the autism spectrum, anxiety, and so on isn’t that great either. Everyone has trials in their lives, let them grieve and work through their trials. Don’t discount it that a problem isn’t big enough, in their life it is a mountain. My husbands employer has this new health insurance hoops you have to jump through. We have to do an online health assessment and then talk to a health advisor. I am fine with this until they talked to me about the stress and anxiety aspect. 1st off they knew of the hearing loss since that was one of the questions I had to answer. They asked why I have stress. I told them I walk into a building and I always feel off guard at first if I will understand people talking to me and understand what is being said there. Their answer was deep breathing and I just need to believe and tell myself that everything is good and I can hear it all. REALLY- I was hoping for some relaxation techniques. I informed them I can’t make the hearing loss go away so in reality I am not going to hear it all. They came back with I can tell myself I hear fine and that will take care of the stress. Wow I didn’t know how to respond. If this is what the insurance companies are going to tell us we can will all our troubles and our worlds troubles away. I work at the school as a substitute teacher. It seems to be getting harder and harder in some ways. I like certain classrooms a lot, I like the high school. I know I can hear decent in them and I know I won’t run into problems. But the hallways, lunchroom, and the elementary school I just want to run away. I feel like the air is being squeezed out of me. I hate it and there is no way I can hear anything. The elementary school is like a horror movie for me. Little voices and always a sea of background noise I just cringe going in there. This past week I was to work at the elementary school Monday and Tuesday. I felt sick all weekend even thinking about these two days. I don’t know what my negative feelings did but we ended up getting an early November snowstorm, we received over a foot of snow. SNOW DAY on Monday and two hours late on Tuesday. My prayers were answered!!! I hate that I dread going to work or certain places. I hate that I have this sense of failure of events coming up. I just need to get over these feelings. I will, I am not worried about it. I will learn some new coping techniques. I am trying to learn speech reading which I really believe will be a huge asset to me. I need to reach out to the friends that I know will be there when there is a bad day and understand. I need to speak up, I need to say what I need instead of saying sorry like I was a problem. It is going to be a long winter I am afraid. This will be my winter to learn new things. Maybe just maybe when spring comes again I will have some new skills and instead of this drowning feeling I am having I will be having a sense of renewal, just like my tulips coming up to see the sun.